How will this 7 Steps guide help me and my business? It's difficult to get the right balance on a website between the visual design, user experience, content, marketing persuasion and SEO. Many businesses fail since they don't use a balanced approach, creating an experience which fails many visitors and fails to generate the leads and sales it could. This guide helps you to get the balance right, through explaining many inspiring examples of best practices from different sectors including B2B, retail Ecommerce, travel and financial services. All touchpoints on the customer journey are covered from home page, category and product pages, utility pages, forms and checkout. We also show how to review and improve performance using your Google Analytics and surveying customers. 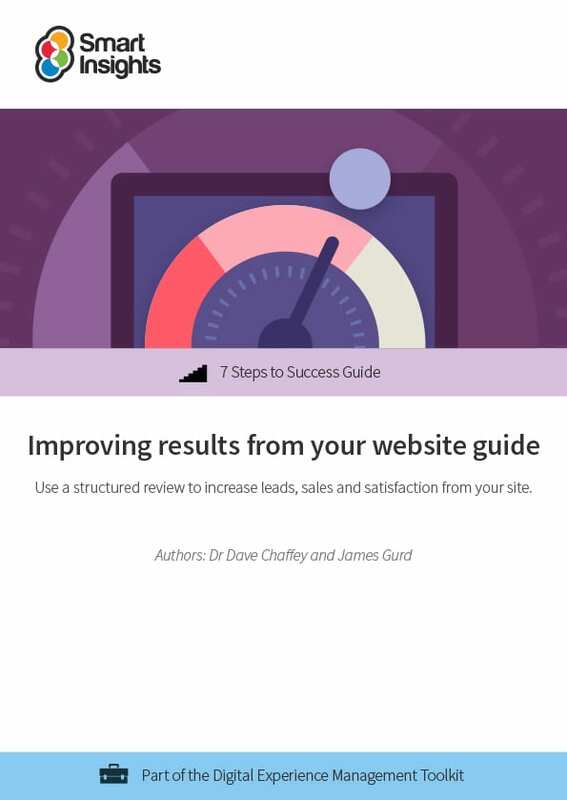 Workbook format makes it quick to review and decide on the changes you need to make to improve your online marketing results. B2B marketers, especially those that convert their leads on-site. Small business owners who manage their website and need to increase the number of leads or conversions. Step 1 What do we want our site to deliver? James is an E-commerce consultant and owner of Digital Juggler, an E-commerce and Digital Marketing consultancy helping retailers develop, execute and evolve E-commerce strategies and optimise their digital channel. With a background as a Head of E-commerce and also agency side as Head of Client Development, he has experienced life on both sides of the fence. He has helped companies like A&N Media, Sweaty Betty and Smythson to manage RFP/ITT proposals. and been lead consultant on high profile projects for Econsultancy, Salmon and Greenwich Consulting. He is a guest blogger for Econsultancy, for whom he also writes best practice guides, regularly contributes to industry events and co-hosts #ecomchat, a weekly Twitter chat for e-commerce knowledge sharing. For e-commerce advice and support, connect with James on LinkedIn and Twitter.